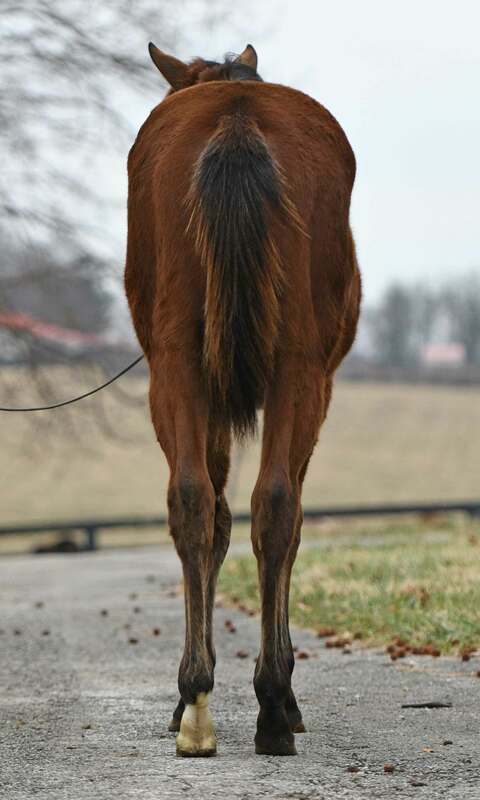 Look at the walk on this one! 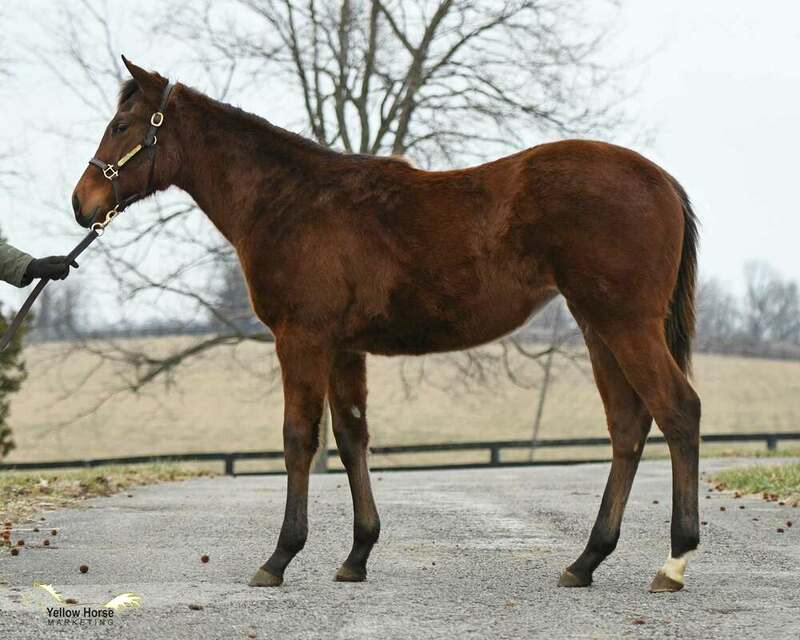 This filly is by one of TIZNOW’s most exciting sons, GEMOLOGIST, who ran away with the Grade 1 Wood Memorial and the Kentucky Jockey Club Stakes [G2] on his way to earning almost $800k. 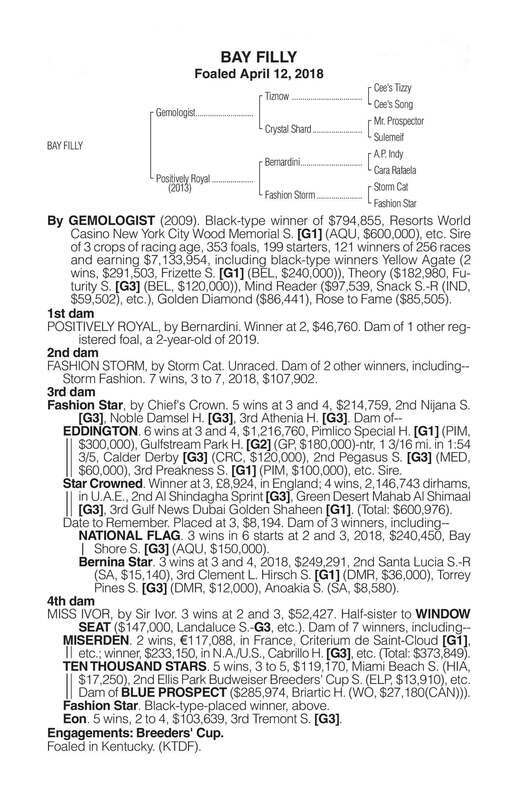 After his two-year-olds claimed prices of $285k, $250k, $185k at the sales, he became a top ten Second Crop Sire in 2017, and his success in the breeding shed continues as GEMOLOGISTis now a leading Third Crop Sire of winners with runners like YELLOW AGATE, winner of the Grade 1 Frizette Stakes at Belmont; Grade 3 winner THEORY; stakes winner MIND READER; and stakes-placed Discovered, Thunderous Gem, Gemologo, Gemstorm, and Trooper. 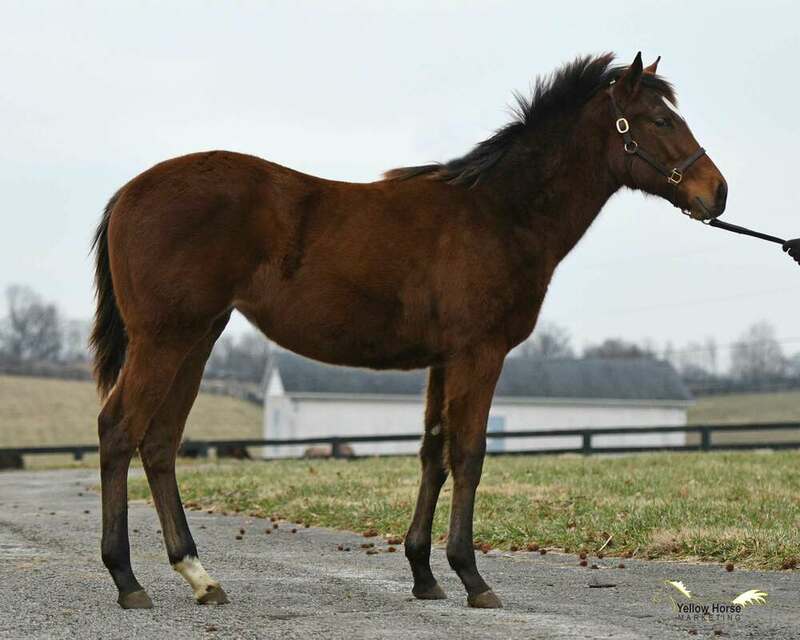 This stout filly is just the second foal out of the young race-winning BERNARDINImare POSITIVELY ROYAL, who herself is out of a half-sister to G1-winner and sire EDDINGTON. 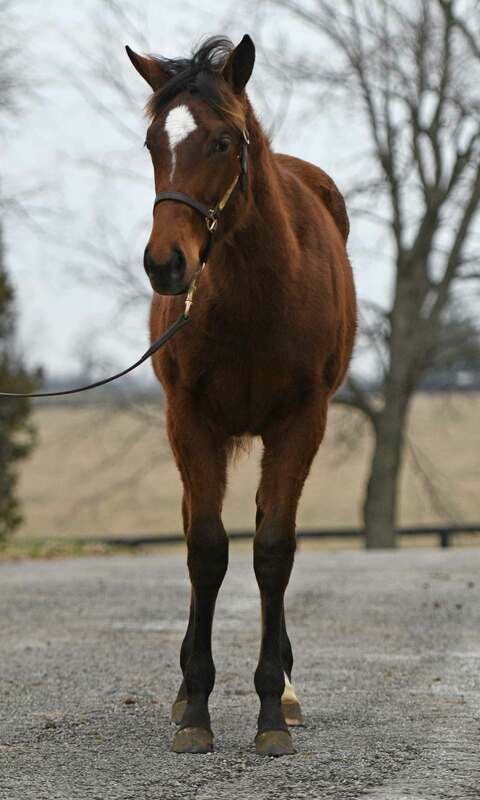 Keep an eye out for POSITIVELY ROYAL’s first foal, a just-turned 2-year-old colt by EMPIRE MAKER, to hit the track!